Sometimes a book arrives here unsolicited and just reaches out to me. It is likely that I haven’t heard anything about it prior to its arrival and yet it just tempts me to read it. This is what happened with ‘Bereft’ by Chris Womersley, it arrived and the cover seemed to constantly catch my eye and call out to me (I am wondering if this is because it looks a little like Catherine Hall’s ‘The Proof of Love’ which you know I adored). The quote from Evie Wyld, ‘I hammered through Bereft in a day; I didn’t want to be away from it’, was the final clincher especially after the success I had with her recommendation of ‘The Hunger Trace’ by Edward Hogan. It is interesting that its arrival made me think of these two books because in some ways it is of their ilk. It also fitted in perfectly with Kim’s Australian Literature Month, it all seemed aligned. The year is 1919 and Quinn Walker is returning to his hometown of Flint in New South Wales after fighting in WWI. This is not going to be some happy emotional family reunion as the reason Quinn left was that ten years earlier he was found seeming to have raped and murdered his sister, he fled. His return seems timely as Australia is in the grips of the Spanish flu epidemic, in fact many believe it is the end of the world, and when the end is nigh you have very little to lose. Now returning, undecided if he will face his accusers or not without proof it wasn’t him, sheltering in the hills around Flint he meets Sadie a young girl living in secret like him and as these two outsiders form a bond of friendship they both realise her present and his past are more linked than either of them could have imagined. I am aware that the last line in that paragraph above is a little bit clichéd and sounds rather melodramatic, yet in essence that is how the plot goes, it isn’t a melodramatic book however and that is what holds me back from giving it the ‘gothic’ label that I have seen in reviews since finishing the book and mulling it over. It does have elements of the gothic but despite the nature of the tale it tells this novel is rather quiet and understated until it leads to its climax. It has also been labelled as a crime novel and in some ways it is, there is a mystery at the heart of the book and yet it is never a whodunit, in fact that aspect of the book is really bubbling away in the background as we look at the effects of war and epidemic on people at the time. It is this combination that I think makes this book such a brilliant read. You have the war and its effects, and in many ways the understated element of the horrors we read of and see in Quinn himself are the reasons they hit home, a country and its people believing the world may be ending, you even get some séances in Victorian London thrown in and yet it never feels too much, nothing seems out of place. Its historical, thrilling, has some magical elements (in fact while I loved the séance and how that worked into the story, there was an animal sacrifice that I just didn’t see the rhyme or reason for, small quibble) and most importantly is beautifully written. It’s understated but highlights the drama of the time; it’s to the point yet descriptive and wonderfully builds the brooding atmosphere and heat before the storm, a metaphoric aspect if ever there was one and one which again made me think of ‘The Proof of Love’, it’s writing that quietly holds you and takes you away to a calm darkness. Since finishing the book I have been off finding out more about it and the author. It seems this book was pretty much long listed for every book award in Australia last year and I can certainly see why. ‘Bereft’ is one of those books that is set very much in its time and yet asks you to look back and put the pieces together. I like this effect in books as it makes me feel a little bit clever. 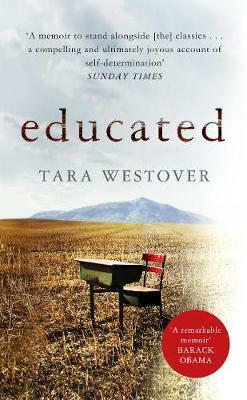 It also makes this book nicely merge the divide between literary and thriller in many ways. The prose it beautiful, the characters fully drawn, there is also a mystery at its heart giving it that page turning quality, yet never at the expense of any of its other winning factors. It also covers a very interesting period in a countries history I knew nothing about yet came away with the atmosphere still lingering with me long after finishing the book. Highly recommended. I am really glad I read this book, I have instantly started wondering if its eligible for a certain award this year but wouldn’t want to jinx it, it is only January after all. I am saddened to see that you can’t get his debut novel ‘The Low Road’ in the UK as yet, as I would definitely like to read more of his work. Has anyone else read that? Who else has read this one? I would love to know if readers in Australia have heard as much about this book as I imagine you might. 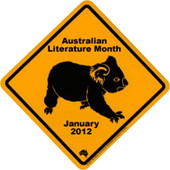 I read this book as part of Australian Literature Month, which runs throughout January 2012. The idea is to simply read as many novels as I can by writers from my homeland and to encourage others to do the same. Anyone can take part. All you need to do is read an Australian book or two, post about Australian literature on your own blog or simply engage in the conversation on this blog. If you don’t have a blog, don’t worry — you just need to be willing to read something by an Australian writer and maybe comment on other people’s posts. You can find out more here.